A variety of genres and musical styles were an early influence on Rob during his childhood years. Growing up around the Chicago music scene brought the sounds of jazz and blues to him. His studies of jazz, classical and gospel piano along with his take from the Chicago music scene has become in itself his signature sound. This sound can be heard in his composition, as well as in his performance. Today his music can be heard in the smooth jazz, adult contemporary, and country music formats. At age five, Rob began studying classical piano. Considering his lessons came from a nun at a convent, he was introduced to gospel hymns as well. Infatuated with the works of Chopin and Mozart, he pursued his studies with a passion and began composing his own melodies early on. Venturing in and out of Chicago jazz and blues clubs as a young adult prompted Rob to study jazz piano. Soon after he was asked to sit-in with local cats, where he began to cultivate his style. He formed his own contemporary jazz band and played the Chicago circuit for sold out audiences in clubs and festivals. In 1992 Rob released his first original CD of smooth jazz instrumentals. It received immediate airplay on WNUA 95.5 in Chicago. His follow up CD “Beyond The Heart” also received airplay, but this time on a national level. From this notoriety he had the opportunity to share the stage with several popular names in jazz. The next CD “Stay Awhile” a solo piano project, made it to the top 10 in adult contemporary radio. Always a fan of holiday music, Rob also recorded a Christmas CD made up of his own arrangements. The recording includes an original track entitled “Santa Claus Is Rocking Tonight”. His CD, “Christmas at Santa’s”, climbed to the number one spot in Holland in 2004. Since then, Rob has expanded his writing into the country music genre. His songs caught the eye of Nashville recording artist Billy Childers. He penned the title track to Billy’s CD “A Man’s Gotta Do What A Man’s Gotta Do”. 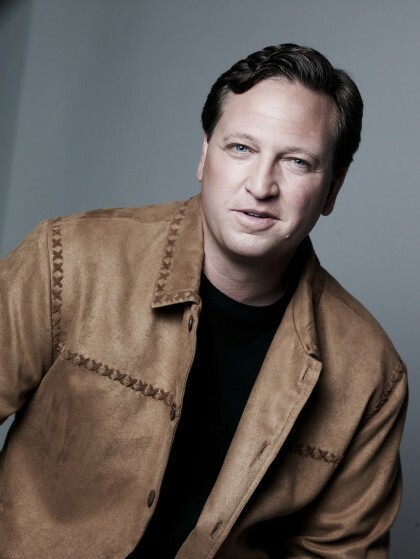 Country music star Jamie Oneal joined the project and is featured on Rob’s ballad “This Night”. Also produced on this CD are Rob’s traditional country tracks “I Feel So All Alone” and “Cowboy Blues”. 2008 has been a break-through year for Rob who is currently touring with Billy Childers. Together they had the opportunity to open for Kenny Chesney’s Poets and Pirates Tour in June at Chicago’s Soldier Field. They were also on the Main Stage bill at Country Thunder in July. Fall and winter brings them to Las Vegas for the PBR events and the National Rodeo Finals. This summer Rob was also given the opportunity to record a CD at the legendary Sun Studio in Memphis, allowing him to capture the spirit of his idols, Jerry Lee Lewis and Elvis Presley.